not too cool for school (or work, or the pub), and making good use of a nearly solid yarn—though a little bit o’ multi works great too. 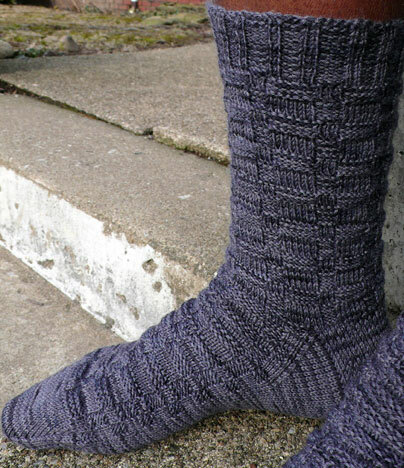 shown here in araucania ranco, a wool/nylon blend, colorway 107 midnight. to purchase pattern or to view complete pattern information, please click here to go to the product page in the knitspot pattern shop. i am very grateful to melissa, who test knit this pattern; go take a look at the other beautiful spinning and knitting projects she has at her blog; she’s fantastic! What a great pair of guys socks! If I knit the socks, will Brother Right show up? Oh! Me likey! And I’ve been looking for a good pair of men’s socks. Perfect! You slipped these right in on us! Maybe you talked about them when I was gone, and I missed it, but the socks are a surprise to me! They’re really great. Did you like that yarn? I’ve been contemplating some of it, myself. Very nice — I totally don’t see any color changes. They are great socks aren’t they. I love them in the grey too. Cute socks!! Like how I can adjust size for my 10 year old grandson and how I can make for my son too! I think I have some of that yarn somewhere in my many bins of sock yarns. Now, which bin was that in . . mmmm. 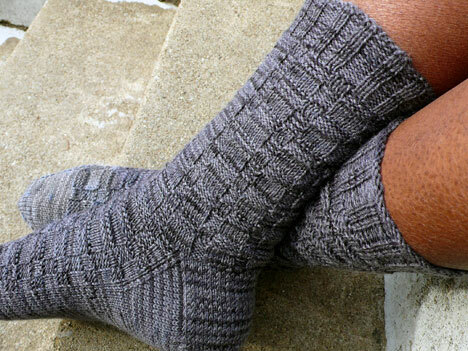 That simple stitch pattern makes for great-looking socks! 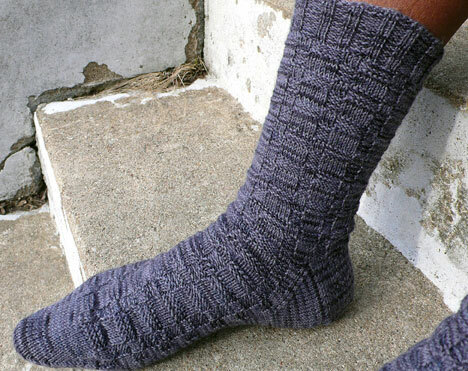 Those are great socks, especially as a good men’s sock pattern. Hmm, I like it a lot. Great job! Very nice! It might be just the thing to convince DH that plain stockinette with wild variegate yarn isn’t the only way to go. Looks like a perfect sock for anyone, me included. Really nice, Ann! 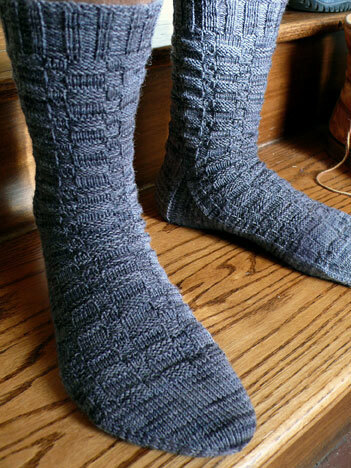 Oh, btw, I knit another pair of your dolomite socks for my husband in the largest size, and they fit perfectly! He loves them, so thanks so much for a wonderful pattern, and this one looks like a real winner, too! they are great! they remind me a little of Math Whiz with all the rectangles.